Esther herself is a Distinguished Visiting Scholar at MediaX at Stanford; a 2009 MacArthur Foundation Research Fellow; the 2002 California Teacher of the Year by the California Commission on Teacher Credentialing and the 2011 Charles O’Malley Award recipient from Columbia Scholastic Press. Esther has spoken on world stages including TED, the G20 Summit and Singularity University Summit. 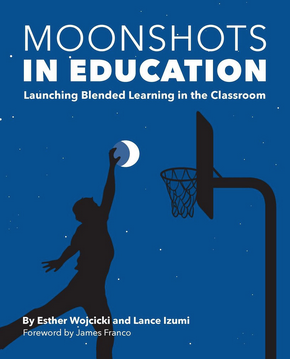 In 2015, she co-authored a book on blended learning entitled Moonshots in Education: Launching Blended Learning in the Classroom. The book encapsulates the Moonshots movement manifesto and details ways to revolutionize education for the digital age with the focus on giving student more autonomy and agency in the classroom. Esther believes strongly in the relationship between the school and home. As a mother, she and her husband Stan, a professor and former chair of the physics department at Stanford, fostered creativity and critical thinking in their daughters, encouraging them to take their own moonshots. These three daughters have gone on to truly change the world: Susan Wojcicki, CEO of YouTube, Janet Wojcicki, Professor of Pediatrics at UCSF Medical School and Anne Wojcicki, CEO of 23andMe. Esther and Stan are proud grandparents of nine grandchildren.